10 anni fa usciva un capolavoro assoluto. Before you play BioShock: Infinite, let's have one last dance in Rapture. 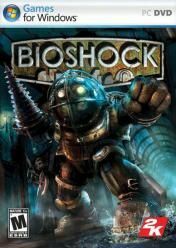 See more http://www.collegehumor.com LIKE us on: http://www.facebook.com/col..
Andrew Rayan ci canta Bioshock. In una tribute song ad opera del cantante newyorkese Brent Black. The single is now available on iTunes! http://itunes.com/brentalfloss Also on Amazon: http://amzn.com/B008Z7J2SG As well as Google Play: http://goo.gl..